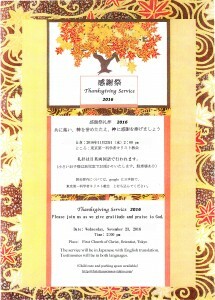 Please join us as we give gratitude and praise to God. 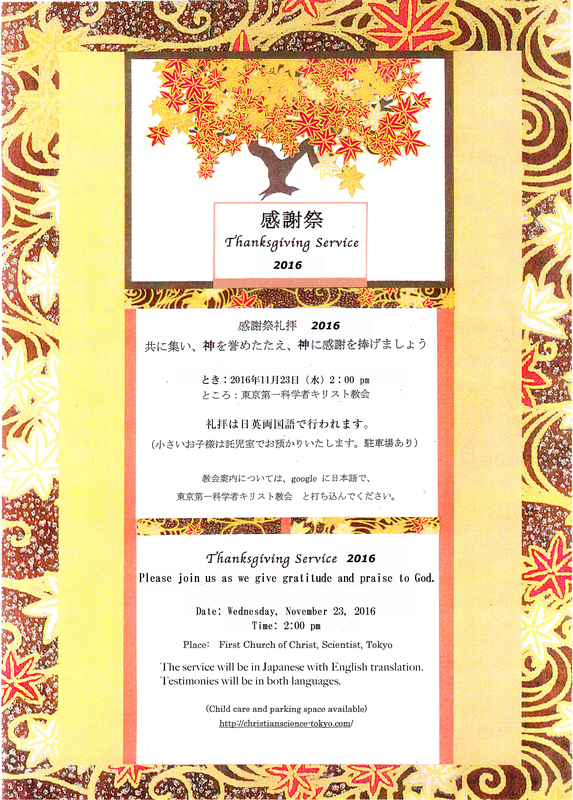 The service will be in Japanese with English translation. Testimonies will be in both languages. Copyright© 2011 First Church of Christ, Scientist, Tokyo. All Rights Reserved.